BLANCO soap dispensers are made of solid brass construction for exceptional durability and can be used to dispense liquid dishwashing/hand soap, and even hand lotion. 10 flo oz. capacity bottle which is refillable from above. The EMPRESSA soap dispenser perfectly complement the EMPRESSA kitchen faucet collection. This soap dispenser is made of solid brass construction for exceptional durability. It can be used to dispense liquid dish soap, hand soap, or even hand lotion. 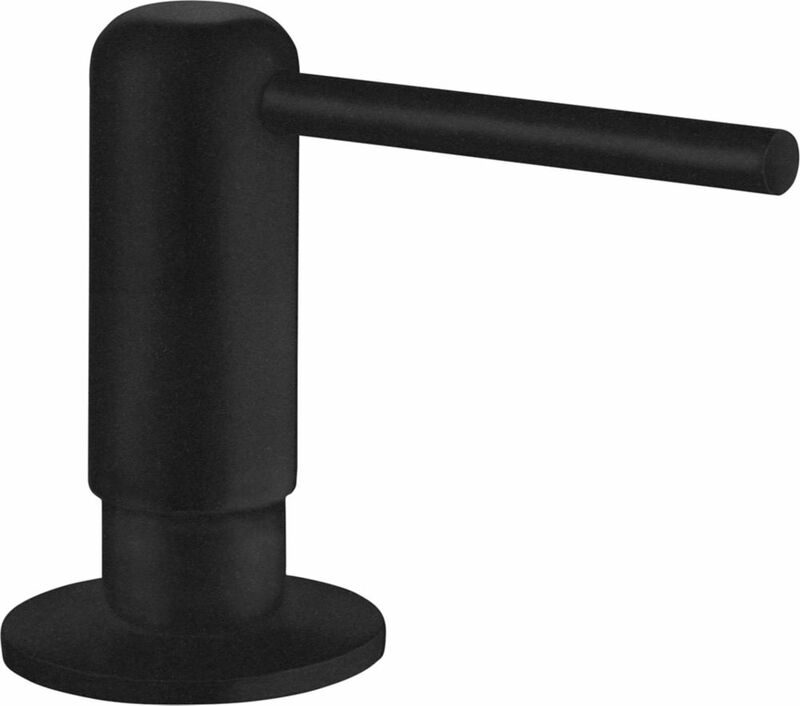 Femme Soap Dispenser, Anthracite BLANCO soap dispensers are made of solid brass construction for exceptional durability and can be used to dispense liquid dishwashing/hand soap, and even hand lotion.